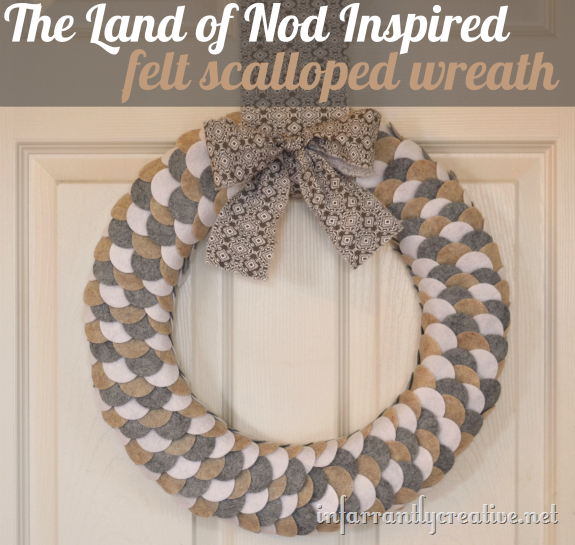 I fell in love with the simplicity of the felt scalloped wreath from Land of Nod. It’s neutral colors lend itself to match any décor and any season. However, I love that it kind of resembles a pine cone which makes it perfect for the fall season. I knew it would be easy to replicate for a fraction of the price.